Gingrich: Most GOP Lawmakers Have 'Zero' Ideas On Health Care : The Two-Way The former House speaker, who isn't ruling out another bid for the GOP presidential nomination, says his fellow Republicans can't just be negative and "tear down our opponent." Republicans need to pitch their own ideas on healthcare, not just object to the president's, former House Speaker Newt Gingrich says. Look your Republican member of Congress in the eye and ask, "What is your positive replacement for Obamacare?" In most cases, says former House speaker and past Republican presidential contender Newt Gingrich, "they will have zero answer." At the Republican National Committee's summer meeting in Boston on Wednesday, Gingrich said his fellow Republicans are too "caught up in a culture ... [where] as long as we're negative and as long as we're vicious and as long as we can tear down our opponent, we don't have to learn anything — and so we don't." 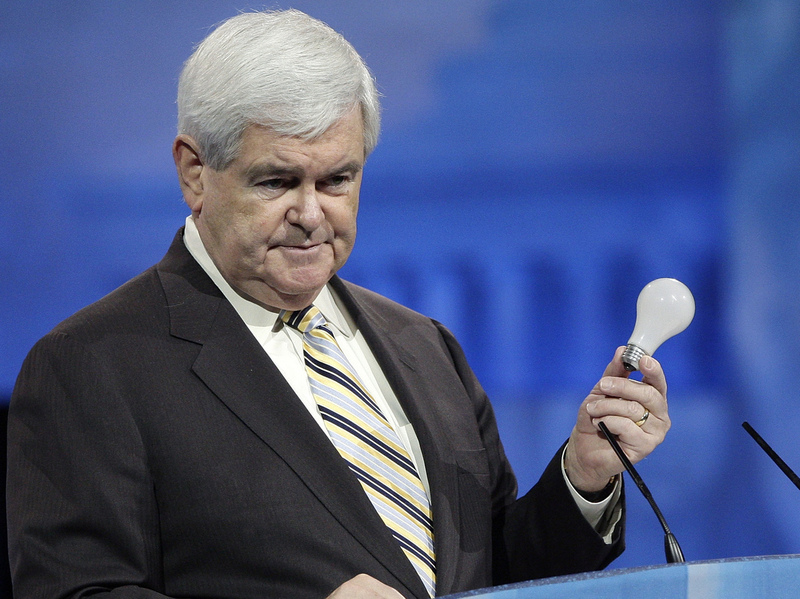 Talking Points Memo has posted video of Gingrich making those comments. -- Disagreeing with CNN's Wolf Blitzer about whether Republicans paid a price for the 1995 shutdown of the federal government. "The first re-elected House Republican majority since 1928 occurred after the shutdown," Gingrich said, and it wasn't unusual that an incumbent president — Democrat Bill Clinton — also won re-election.